In the photography world there is much talk about vision, which is often described as a notion, an idea conceived before the photographic experience that determines the composition, mood, and development of the image. In this understanding of vision, the use of the mind in conceptualizing a desired result leads the artist through the whole photographic experience. It is a methodology that makes sense and is one that I have found useful in my own art-creating. I have discovered, however, another approach to vision, which begins as an experience of the heart. Often it is felt, not rationally known prior to and throughout the photographing process and leads by hunch and internal nudging and wonderment into a result not defined by the mind. Not long ago, the women of f/4 studio ventured out into a day of exploration at the peak of fall color. Leaving Nashville in sunshine, we immediately found ourselves, as we turned north, shrouded in fog. I was drawn into the mystery and led by unnamed stirrings of my heart into the four images you see below. Photographic vision is born in the mind. It is also born in the heart. 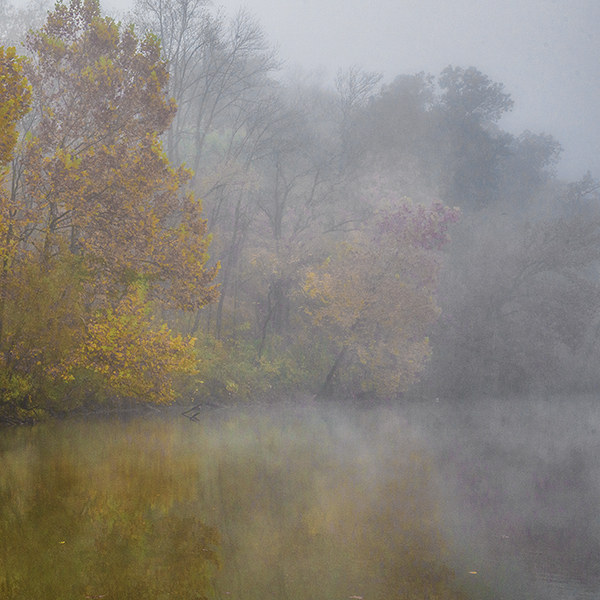 This entry was posted in Sharon Brown Christopher, Uncategorized and tagged Fine Art Photography, Nashville Photography, SABChristopherPhotography on December 5, 2014 by sabchristopher. Sharon Brown Christopher, you really do fog well. I don’t know what your pre-shot settings were or what developing or editing tools you used, but the results are stunning. More so, I believe, than full sunlight would have provided. Your work brought two past experiences to mind. First, on a trip to India in the 90s, I viewed the tombs of Mumtaz Mahal and her husband at the Taj Mahal through one of the magnificent alabaster lace screens which surround the mausoleum. I also viewed the tombs through a portal without visual obstruction. Second, at a international photography show in NYC many years ago there was an exhibition on “veiled beauty”. There were 20 sets of photographs, each set having a different female subject. Each set included 2 exact poses of the subject with one exception. In one photo in each set the woman wore a sheer veil. Some sets showed frontal portraits, others used profile shots from different angles. In every instance, the impact difference between the veiled and unveiled subject was staggering. The veiled portraits, like the tombs viewed through the alabaster screens, were breathtaking. What was the difference? Did the veils create an air of majesty, modesty, mystery? It did all three of these things for me. To be sure, each human heart would interpret it in its own way. In regard to your work, the fog is a mist-type veil and like a fabric veil, it subtracts and adds something at the same time. 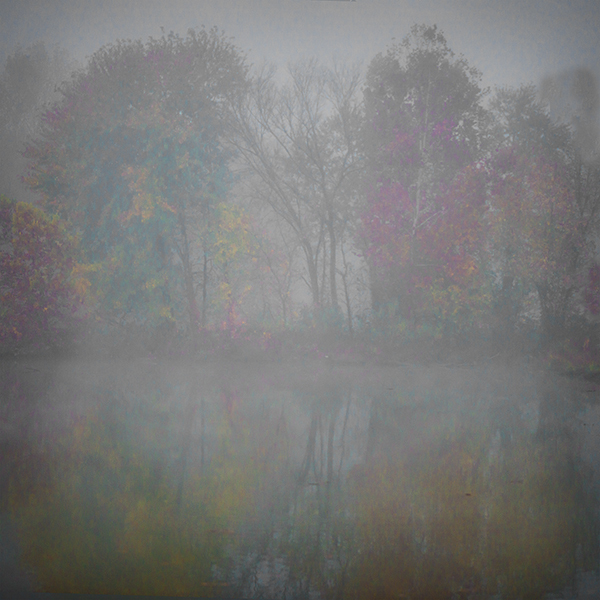 Perhaps you described it best in your own words: Through the fog dimly, colors’ insisting glory, will not be vanquished. I really appreciate your “Photographic Vision of the Heart.” It offers much to which others can aspire in their own work, including myself. You women of f/4 are producing a notable body of work that is well worth wider examination and discussion. Your work also has practical applications. 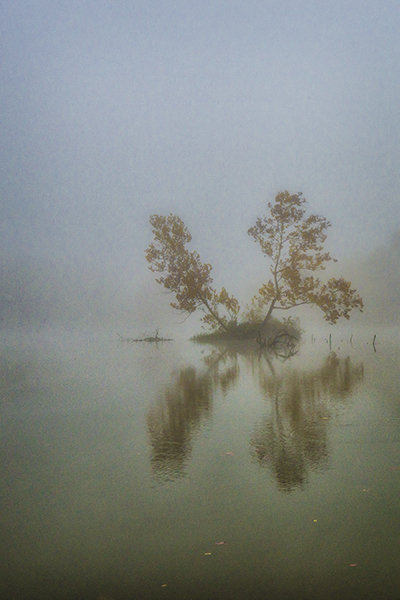 I, for one, am going to stop cursing the fog and start walking toward it with camera in hand. 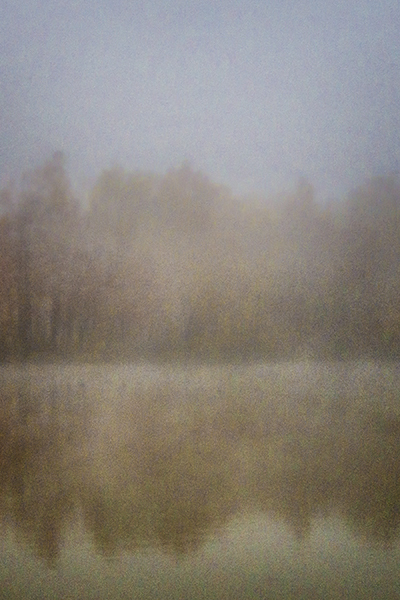 Thank you so much for your thoughtful response to my fall fog images as well as the work of the women of f/4 studio. Our commitment to work with the elements given to us on days of photographing has led us into new arenas that cause us to stretch our imagination and to push the boundaries of our creativity. Shooting through windshields covered with running rainwater and moving our camera during long exposures- just two examples- are rendering results that both surprise and sometimes stir our hearts.